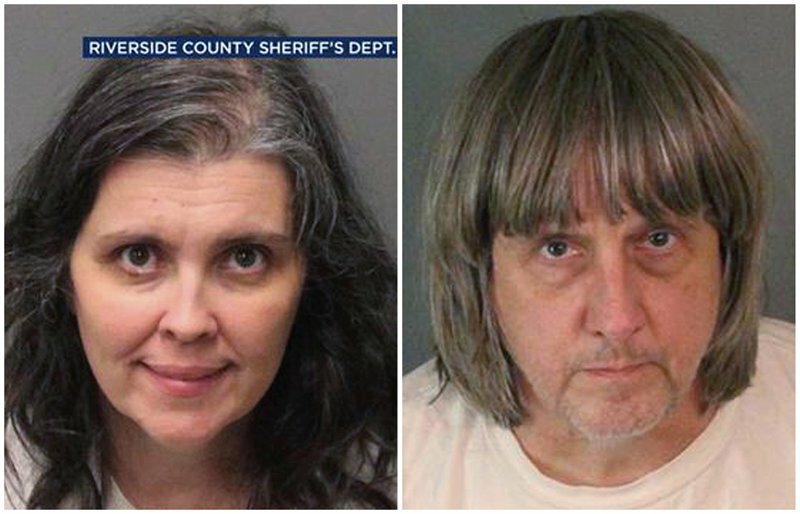 The mother of 13 malnourished children and young adults who were held in filthy conditions, some chained to furniture, was “perplexed” when deputies arrived at the family’s Southern California home, a sheriff’s official said Tuesday. Riverside County sheriff’s Capt. Greg Fellows described the reaction of the mother, Louise Anna Turpin, 49, without elaborating. He said he did not know how the father, 57-year-old David Allen Turpin, reacted. “The conditions were horrific,” he said. The children, ages 2 to 29, are all believed to be the Turpins’ biological offspring, authorities said. “If you can imagine being a 10-year-old and being chained to a bed … I would call that torture,” he said. A few years ago, Robert Perkins said, he and his mother saw a few family members constructing a nativity scene in the Turpins’ front yard. Perkins said he complimented them on it. James Turpin, of Princeton, West Virginia, said Tuesday that he was surprised by the news reports about his son David. All 13 children are David’s biological children. None are adopted, he said. “We’re going to try to get to the bottom of it,” he told The Associated Press.